Dublin Airport has opened its new €40m (US$49m) aviation fuel farm, which strives to bring significant efficiencies to its aircraft refueling operation. The new fuel farm has six times the capacity of the original facility, with three new aviation fuel tanks capable of storing 15 million liters of fuel in total – the equivalent of the capacity of six Olympic-sized swimming pools. Previously, at least two fuel trucks with up to 45,000 liters in capacity were required to fuel a long-haul flight. These aircraft can now be refueled in less than half the time it took under the old system and the number of fuel vehicles on the apron area has reduced by 50%. 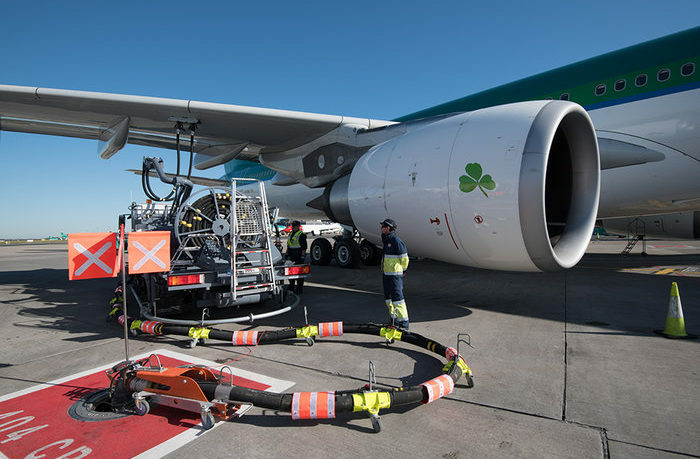 The fuel hydrant system enables the fuel to be delivered directly into the aircraft via a hydrant dispenser that connects to a pit in the ground. The hydrant fuel system will be extended to other piers on a phased basis.